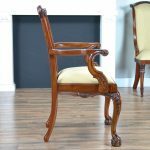 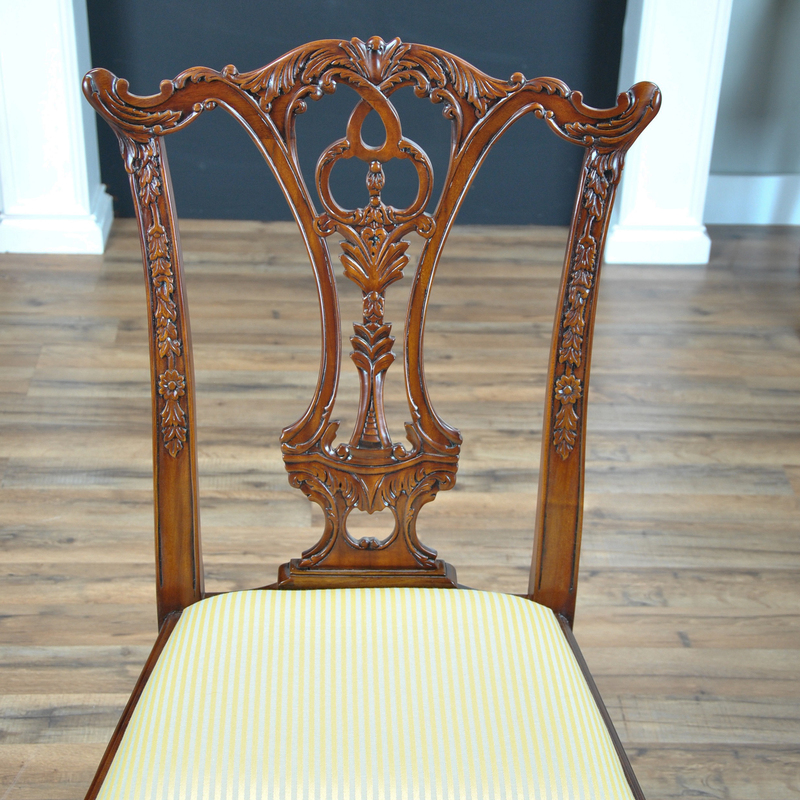 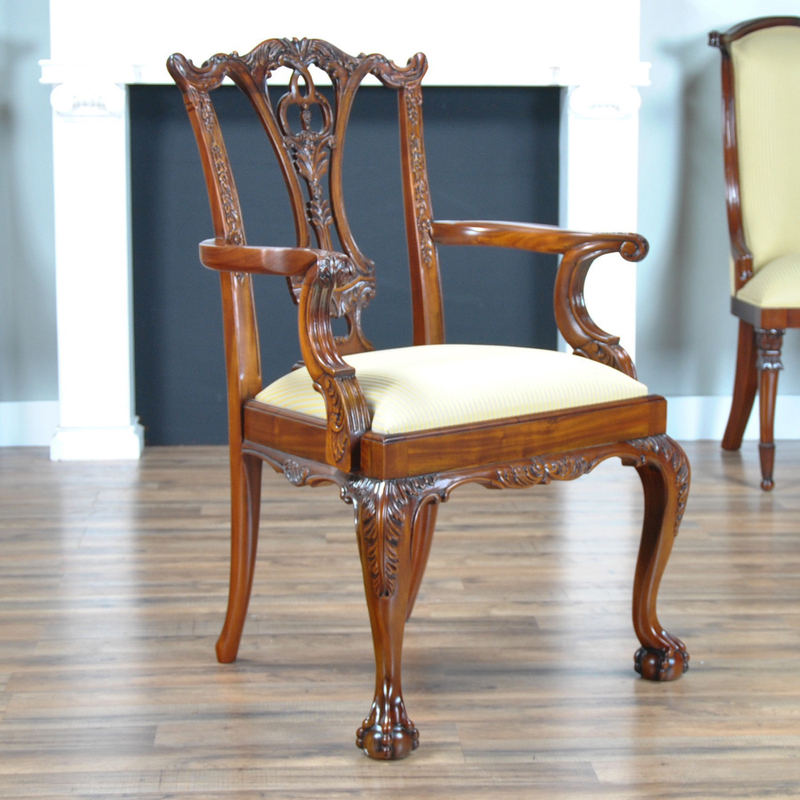 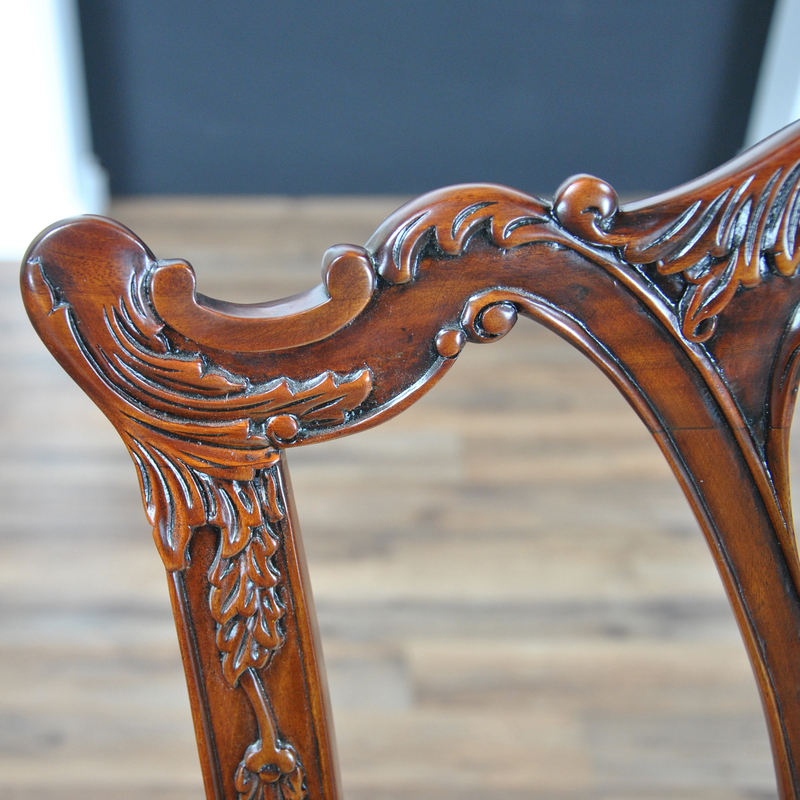 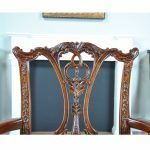 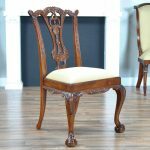 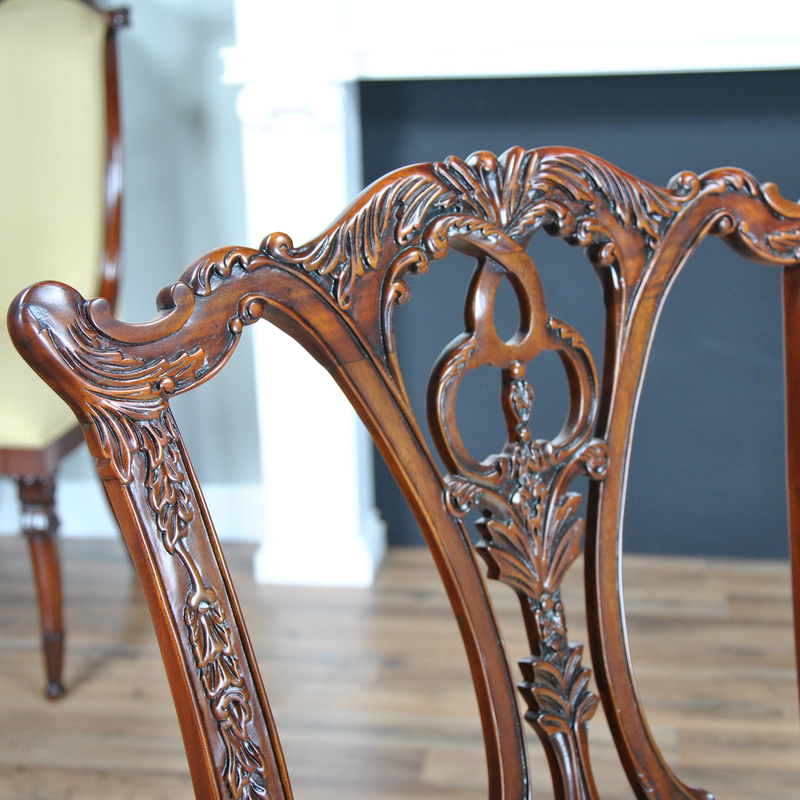 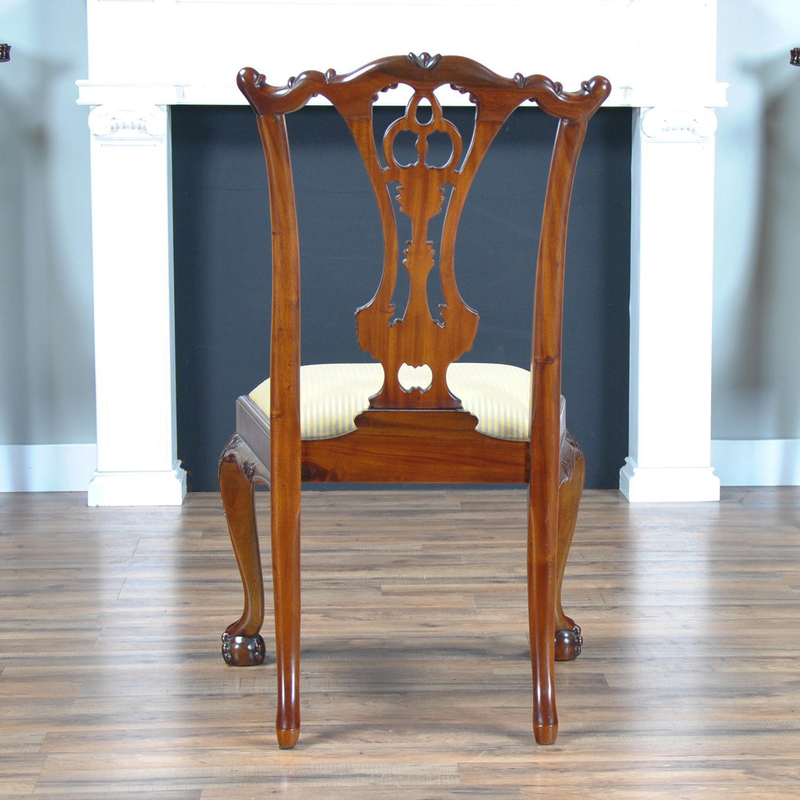 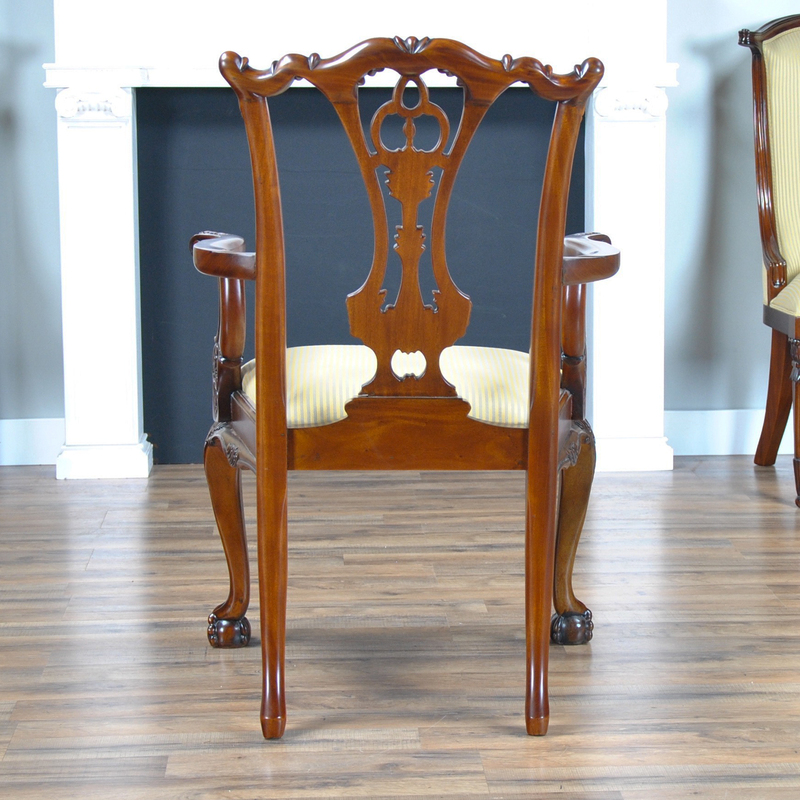 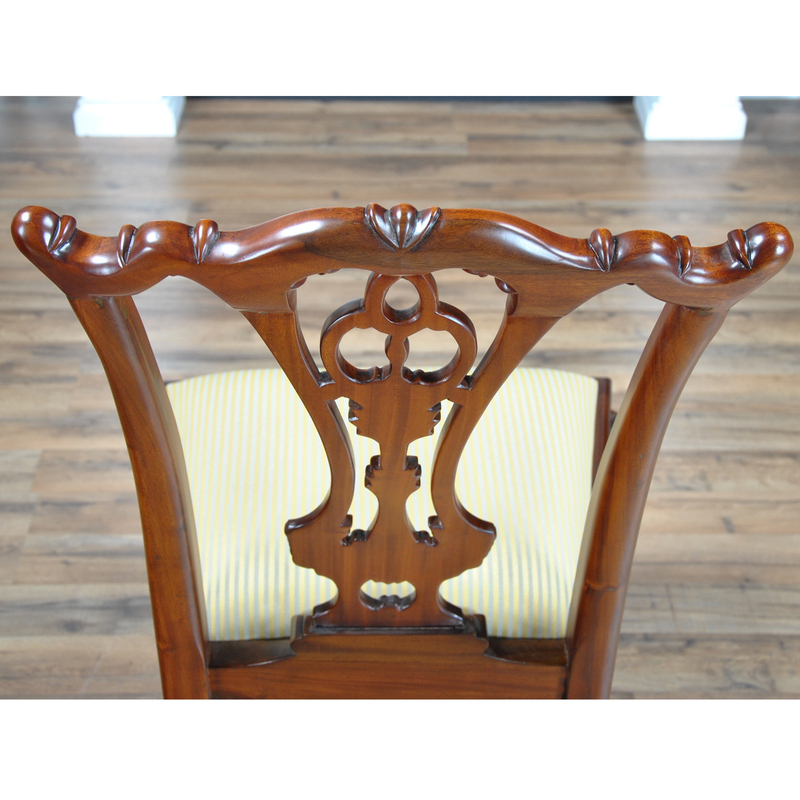 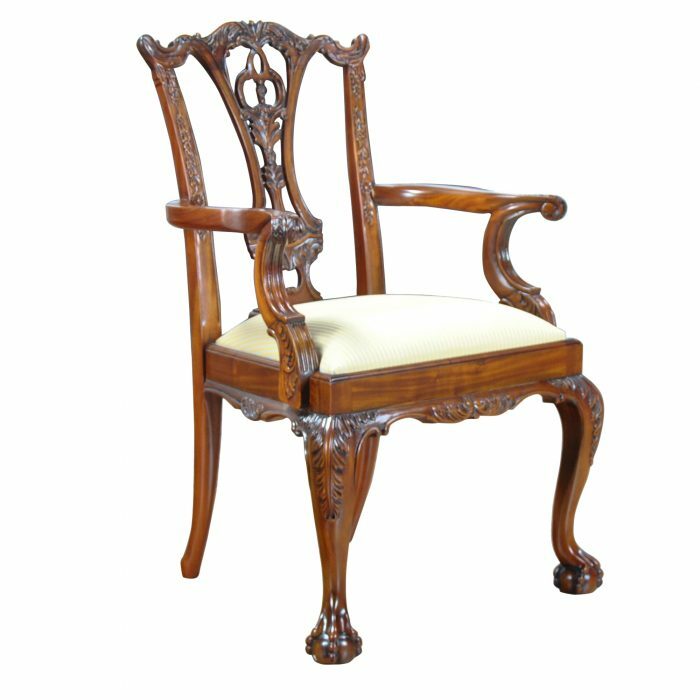 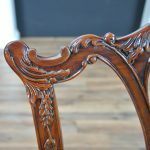 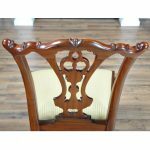 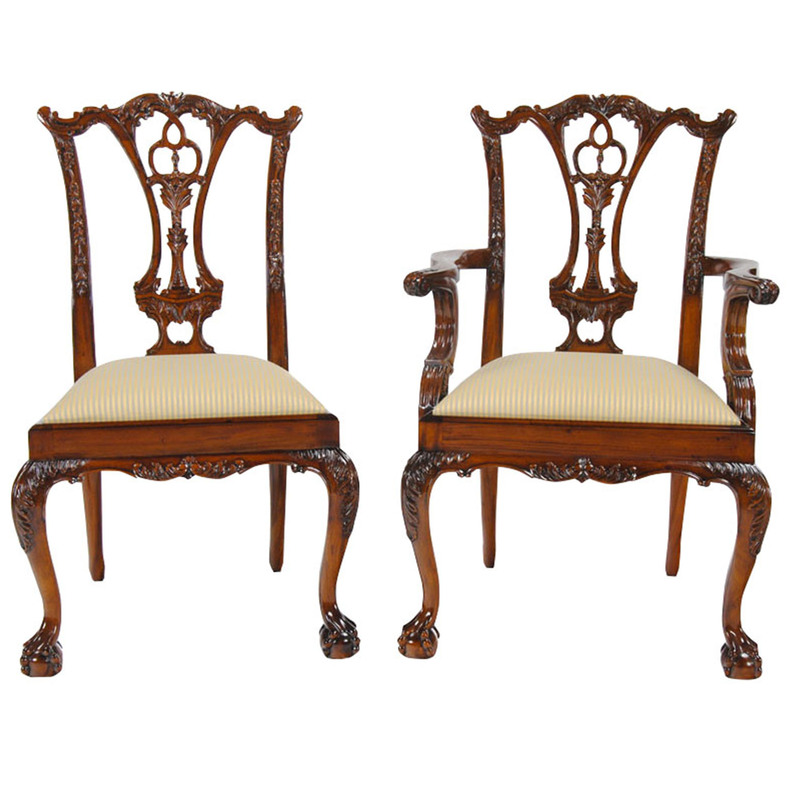 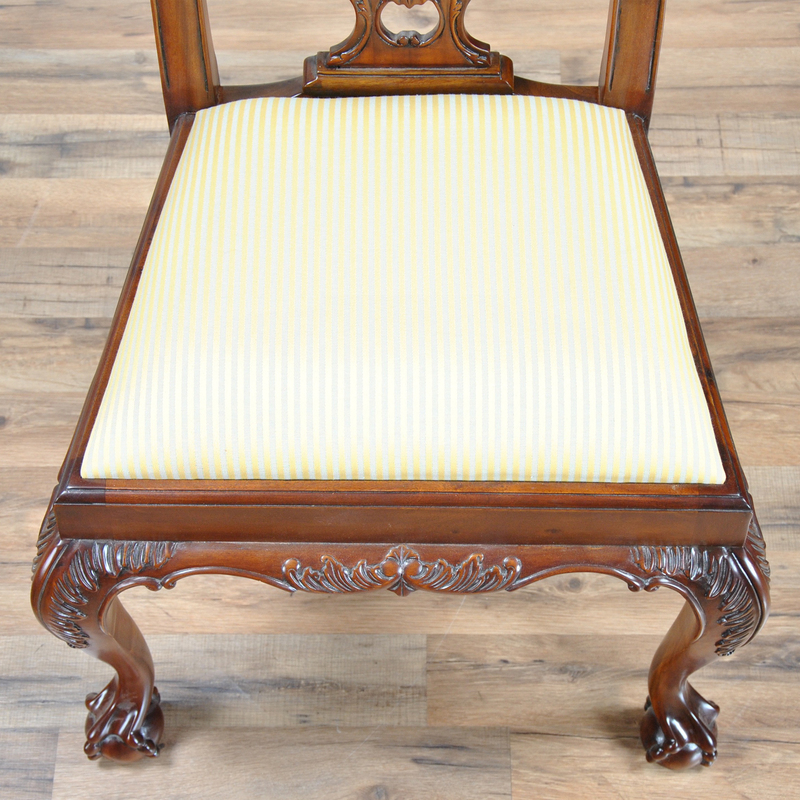 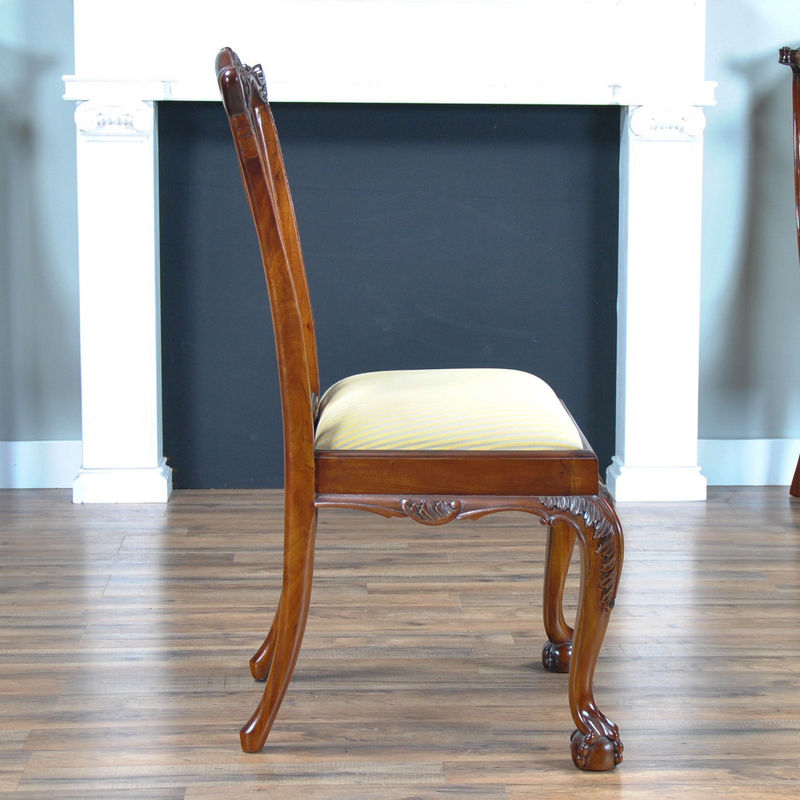 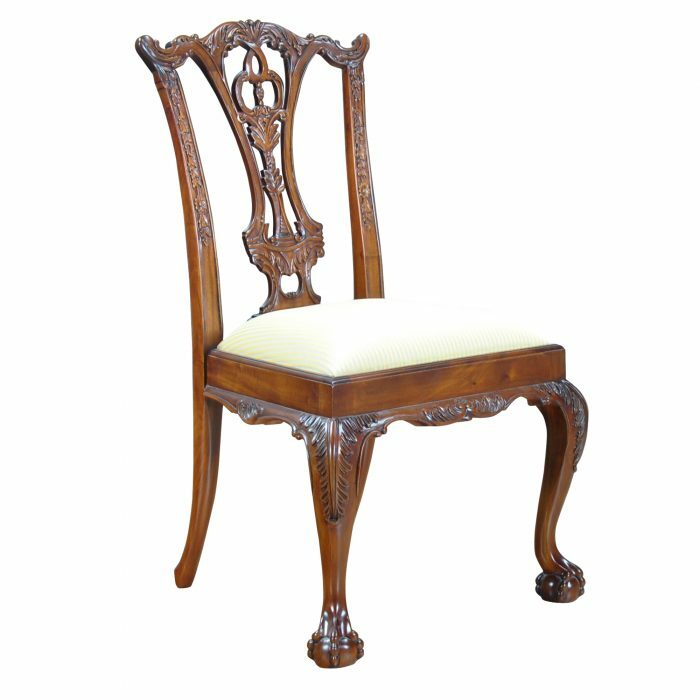 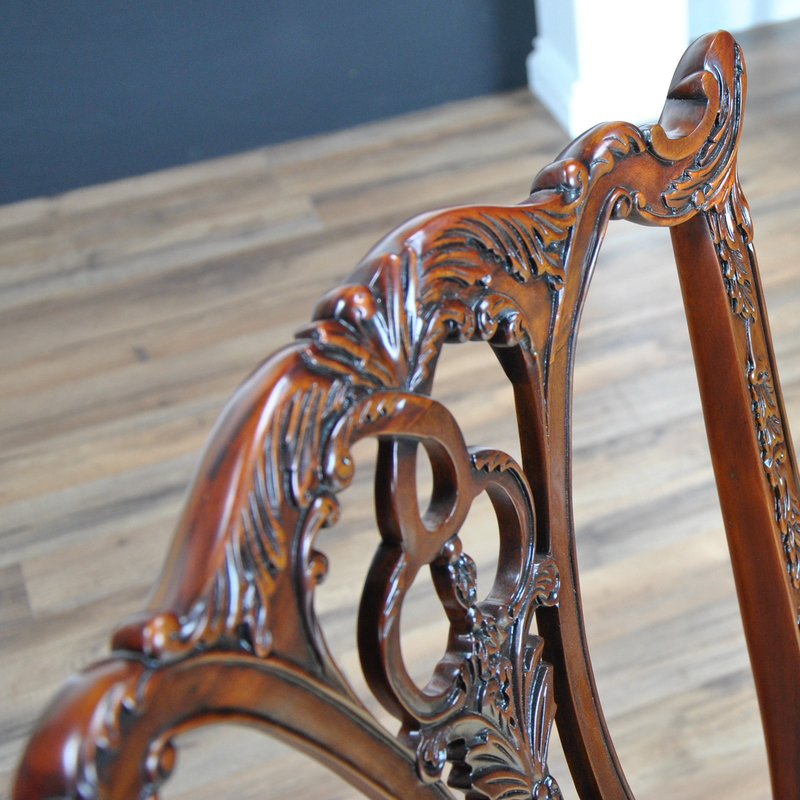 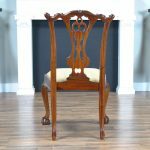 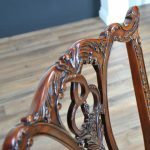 This set of ten Standard Chippendale Chairs by Niagara Furniture has sold so well over the years that it has become known at our shop as the set of “Standard Chippendale Chairs”. 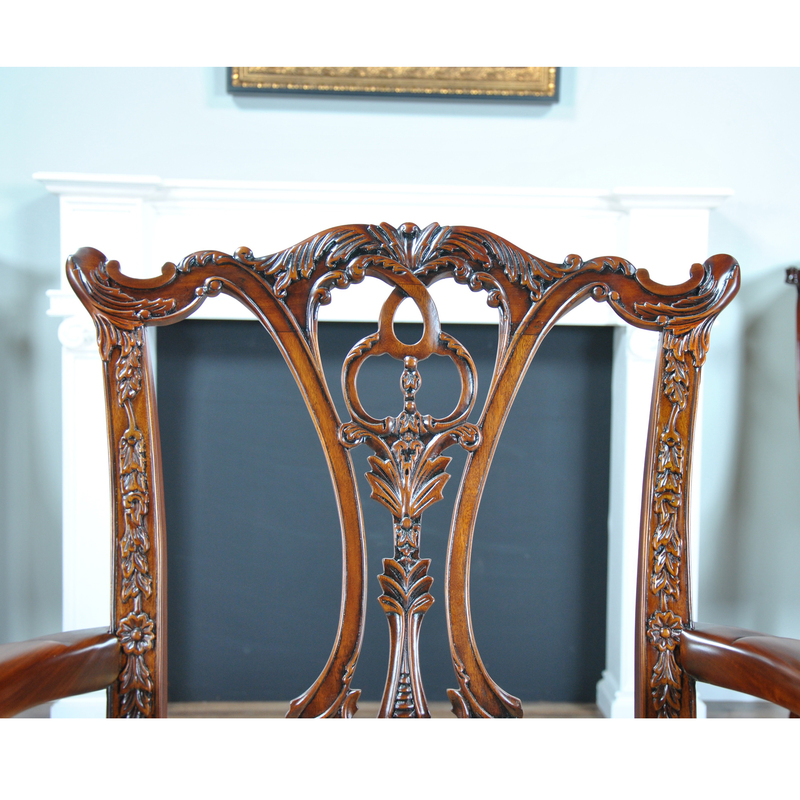 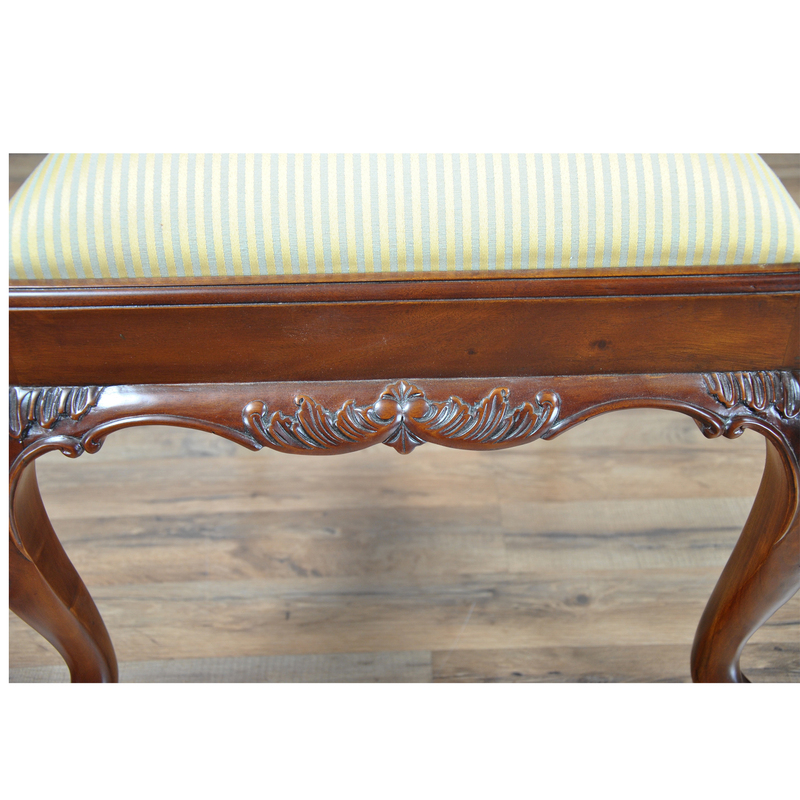 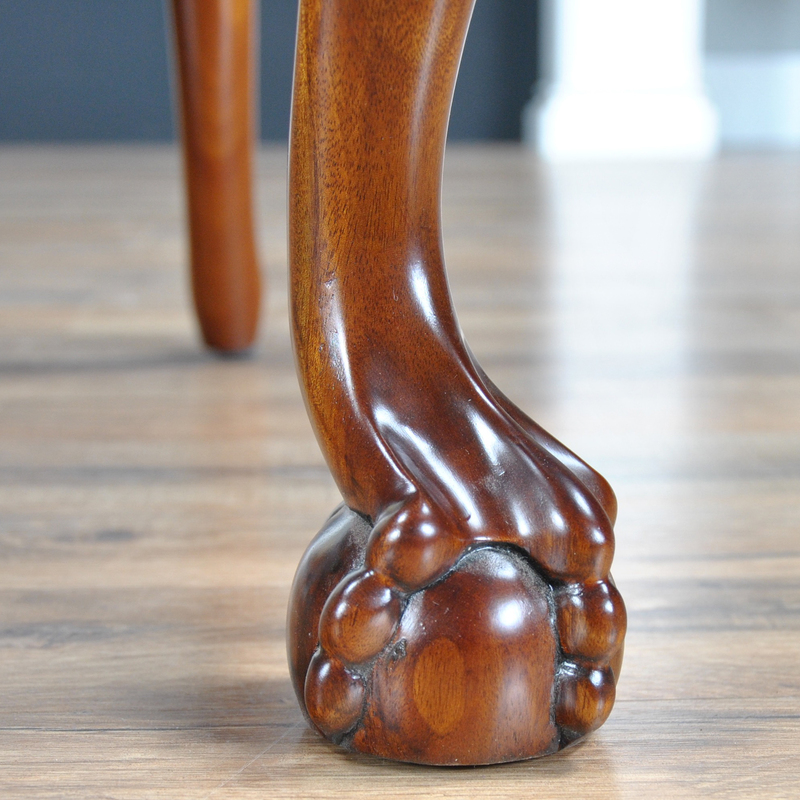 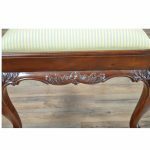 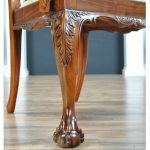 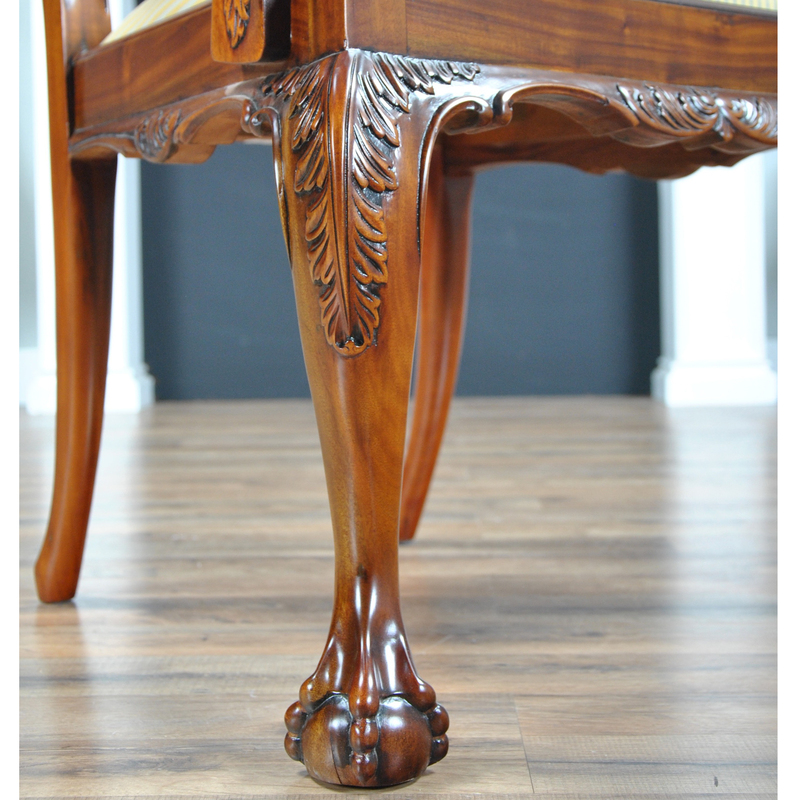 A carved crest rail, foliate carved back splat, and legs featuring acanthus carvings as well as Chippendale inspired ball and claw feet. 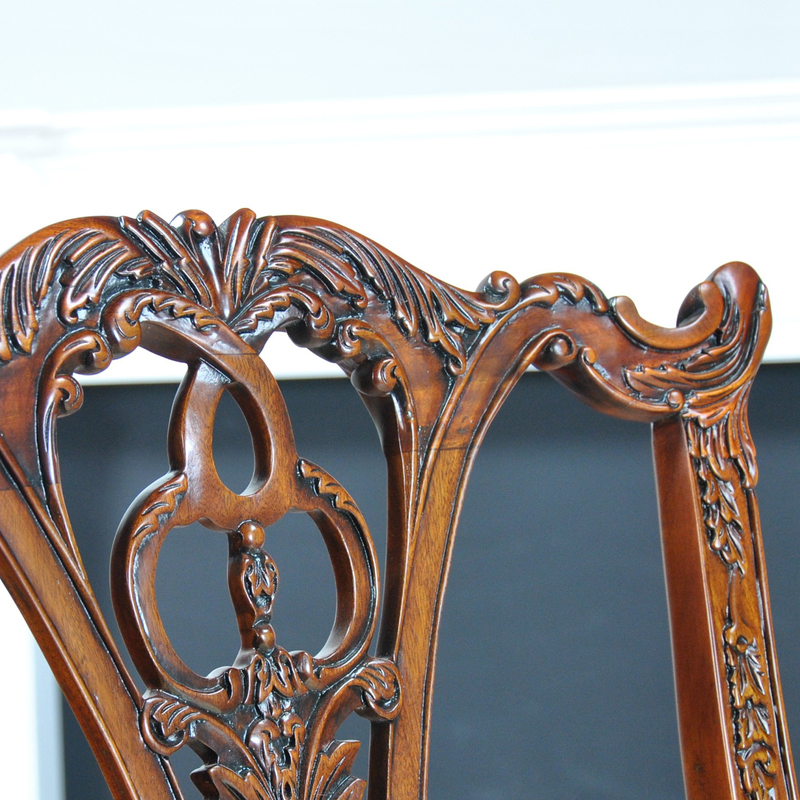 No wonder why this chair has always been a favorite. 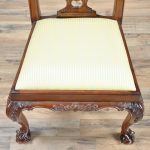 All of these details are displayed over top a drop in seat which is held in place with four screws, making the seat easily removable should you desire to change the fabric.